Краткое описание: LEAD YOUR AIRLINE INTO THE FUTURE! It’s the beginning of the 21st century and competition in the airline industry is heating up. As a young, ambitious CEO, it's up to you to make sure your airline is a survivor and not just another casualty. To succeed, you will have to make some tough decisions including where to fly, which planes to purchase and how to attract visitors to the cities you service. Your goal: to differentiate your airline from the rest while still turning a profit. 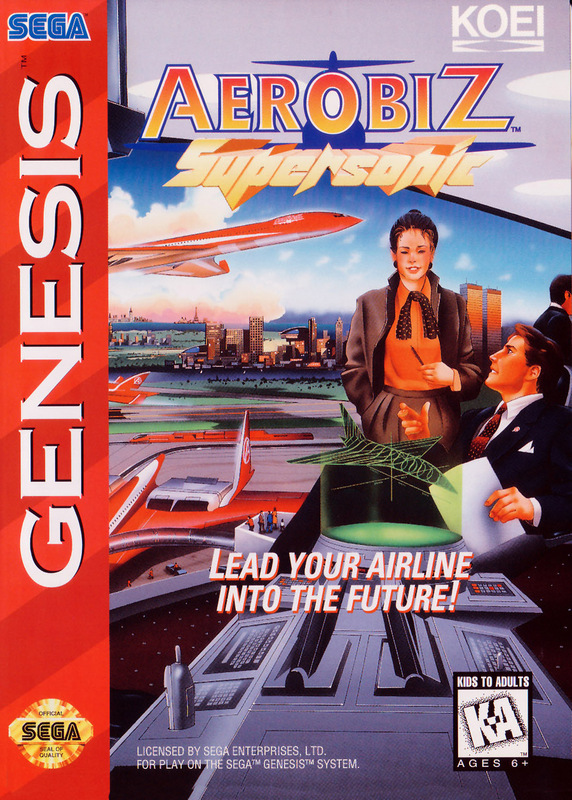 ln Aerobiz Supersonic, fashion a powerful fleet of aircraft from more than 50 possible choices. organize routes to 89 global destinations and invest your profits in a variety of new services including amusement parks. ski resorts and airport shuttle services. And don’t target as CEO you're still responsible for ings like plane maintenance, advertising and handling those periodic emergencies such as a plane crash or employee strike. Get ready to make some tough decisions! If you make the right ones. your planes will dominate the skies of the 21st century. 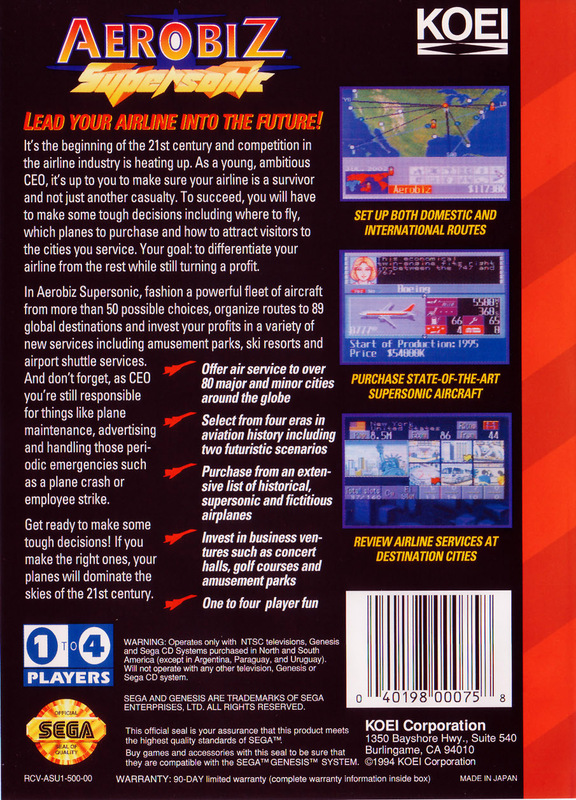 *One to four player fun LEAD YOUR AIRLINE INTO THE FUTURE!